Augustus Funeral Home regrets to announce the passing of Harry Collingwood Greaves. 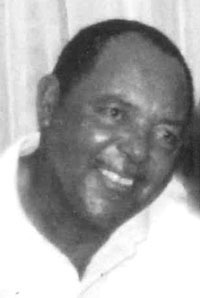 A Home Going service for Harry Collingwood Greaves, son of the late Franklin and Geraldine Greaves, loving father to Keithlyn Wade [Doris], Carla Edwards, Kim Wade, Belinda Reid, Lisa Perinchief, the late Antwon Dillas, brother to Leonard Greaves [Gloria], Fern Flood, Janet Burgess [Winters], Jean Caisey [Gilbert], in his 82nd year of 19 Swans Bay Mount Hill, Pembroke will be held at St. John’s Church, Pembroke today, February 14, 2019 at 2:00 pm. There will be no viewing today. Lovingly remembered by aunt: Dorothy Wade; numerous nieces and nephews; special “daughter” Shirley Daniels; “son” George Davis.